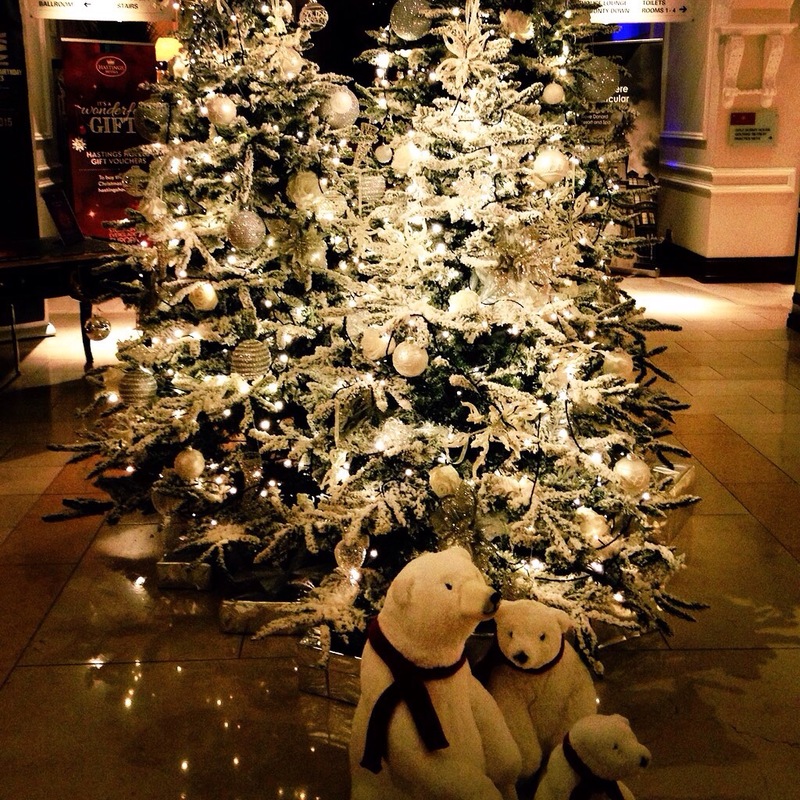 On Sunday 7th December, I headed off to Newcastle, County Down, for afternoon tea at Slieve Donard hotel. Myself and two friends from university, Karen and Michael, had been trying to meet up for a few weeks to celebrate the birth of Karen’s first baby! 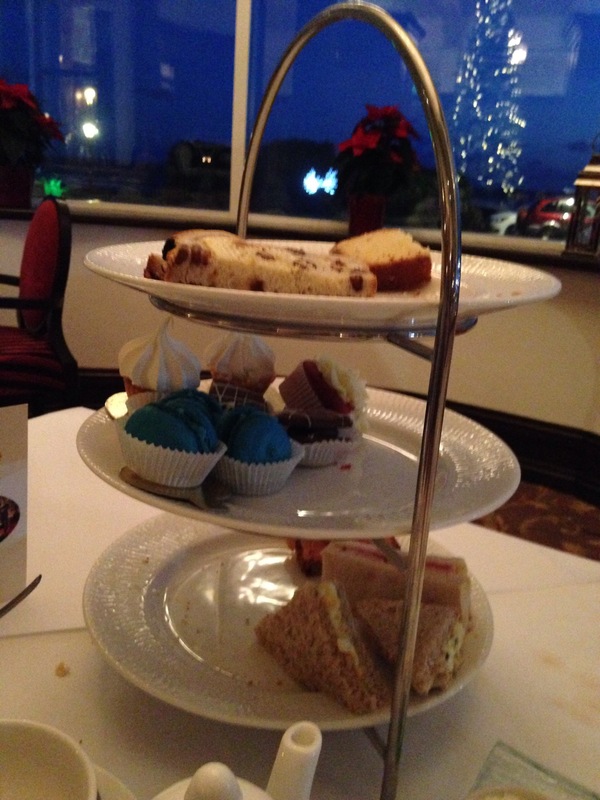 The sandwiches were followed by, not only scones which is the ‘norm’, but also fruit loaf and lemon drizzle cake. Finally, the selection of pastries included traditional macaroons, red velvet cupcakes and dark and white chocolate mousse. Great desserts! 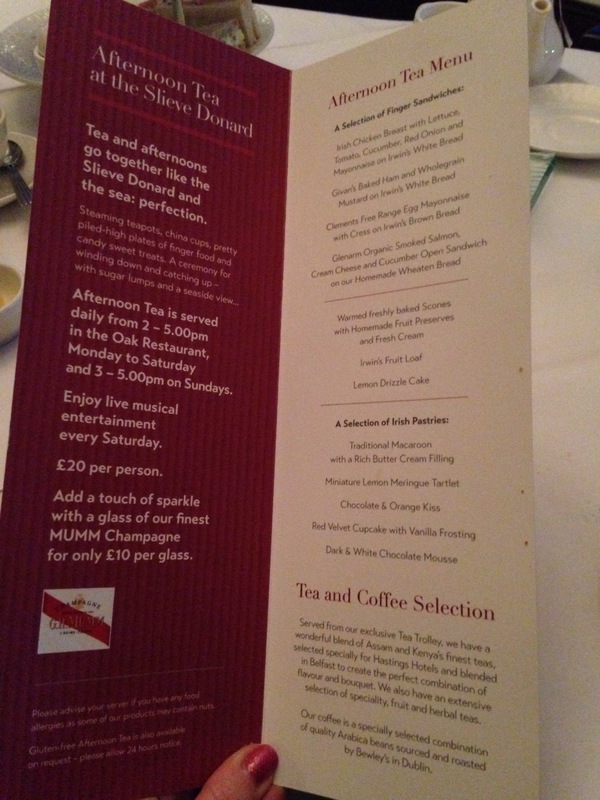 The food was complimented by a selection of speciality teas and coffees. I chose a nice fruit tea. The variety on offer was impressive! We actually didn’t finish it all (and it’s not often I say that!) Luckily, we were able to take the rest home with us so significant other halves could ‘celebrate’ too! 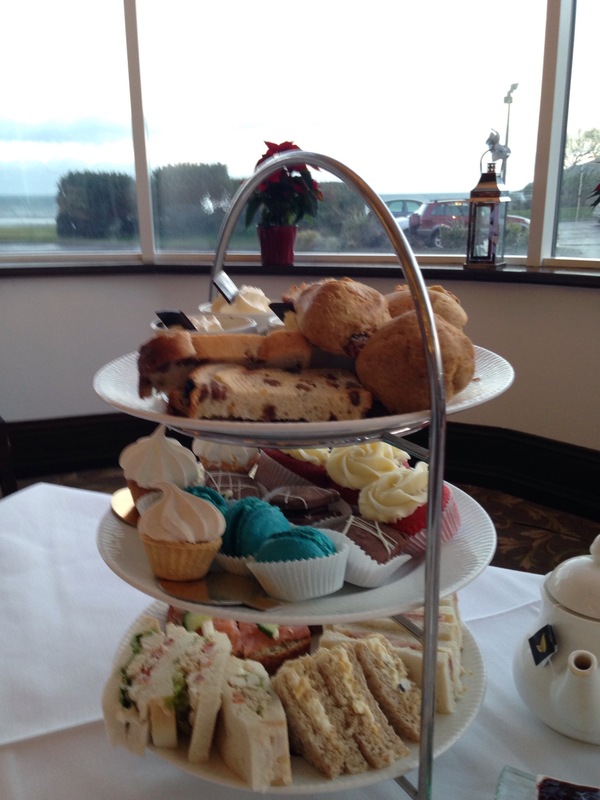 The afternoon tea costs £20pp and is in a lovely suite overlooking the sea and Mourne Mountains. Definitely a good choice with those with a sweet tooth! 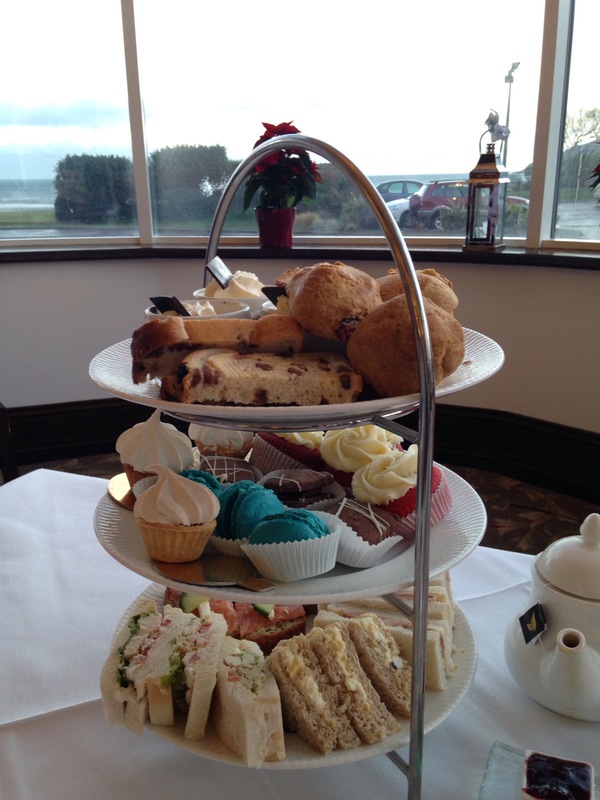 This looks like an afternoon tea feast! I must try it one day too!